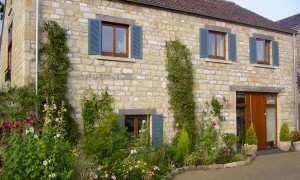 What styles of external shutters are available and will they suit my home? 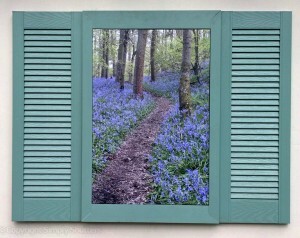 1) Board & Batten/ Country Panel style shutters. Board & Batten and Country panel style shutters are available in many variations including a ‘joined’ Board & Batten design with horizontal cross battens, a ‘spaced’ batten design and even a ‘Z Bar’ design. 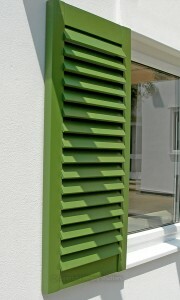 This style of shutter is a particular favourite with rural, farmhouse and country cottage style homes. The rustic design helps to promote a warm, cosy and relaxed feel. 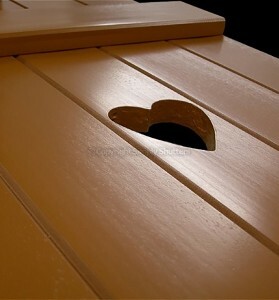 To add an extra touch of charm some people like to add shaped cut outs and decorative hinges. 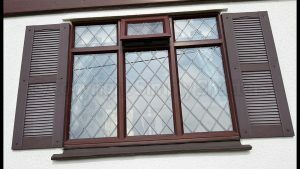 This style also works nicely with patterned or leaded windows and on curved widows where an added arch is applied to the top of the shutter to follow the window shape. For extra tall shutters Board & Batten designs can have additional horizontal battens applied to the centre of the shutter for support and added appeal. Undoubtedly the most popular style purchased; louvre shutters are extremely versatile and stylish meaning they are suited to almost all types of homes. When used in an operational capacity the louvre design offers the benefit of airflow and light though the open louvres even when closed. As the need and demand for operational shutters has decreased over the years the demand for a decorative louvre style shutter has not and so it remains a popular favourite today. Louvred shutters are a particular favourite of red brick homes and painted homes with homeowners sometimes opting for a shade that contrasts with the colour of their home. 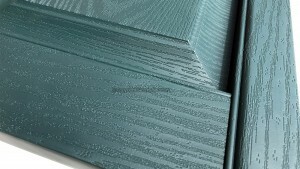 With various different styles of louvre shutter available, matching the style of your window is also an easy task. For example a double hung or sash window would look great with louvre shutters that have an added horizontal bar to ‘line up’ with meeting rail in the window to give a neater overall appearance. 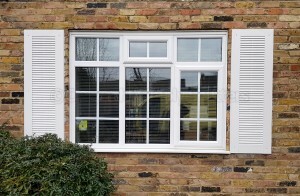 Louvre shutters will suit most styles of home and windows offering both classic and modern contemporary looks. 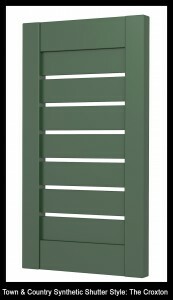 For a traditional 1930s look, shutters with protruding louvre blades are also available. 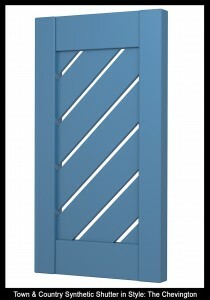 Other available styles include shutters with louvres going all the way down the shutter and also those which have a cathedral top, being a scalloped top arch inside the top edge of the shutter. 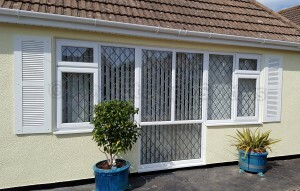 For wider windows an ‘Extrawide’ louvre shutter is available offering a bi-fold shutter appearance. The panel style shutter gained popularity in the Georgian period and can also be referred to as a Regency Panel. 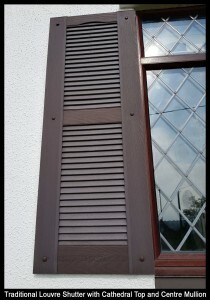 It was a popular feature on more affluent properties that would display shutters for both appearance and security purposes. 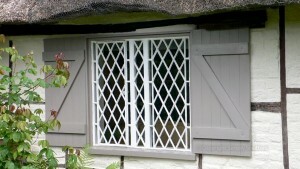 This style shutter whilst not as popular as the louvre shutter is still common today and features on a wide range of homes. The Panel shutter is available in different variations including a 2 equal panel style, 3 panel style and even an unequal panel style whereby one or more of the panels is smaller in size. 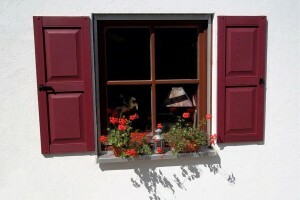 As the shutter market develops, so do the designs available. With more modern and contemporary looking shutters becoming available it is possible for those who want the elegant look of external, decorative shutters to opt for something a bit more innovative. It is clear to see that since everyone has different tastes and ideas of what they think looks good. 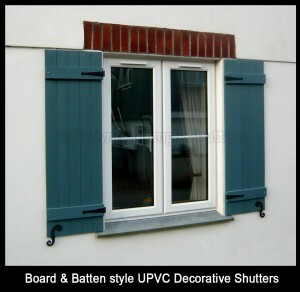 It is a complex business advising people what style of external, decorative shutter would best suit their homes. Of course there are some designs that might suit particular homes more so than others but that doesn’t mean you have to follow along. If you have a bay window that you want to dress then do it. If you want a Traditional Louvre design on a country cottage, take the plunge. 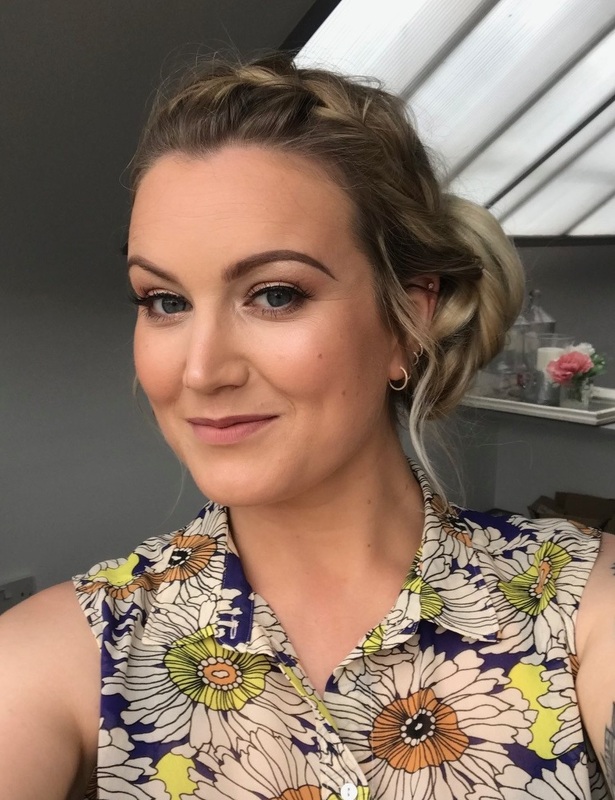 There are plenty of styles available to suit so it’s more than likely you will find something you like. Also remember it’s your house so ultimately all that matters is what you think.